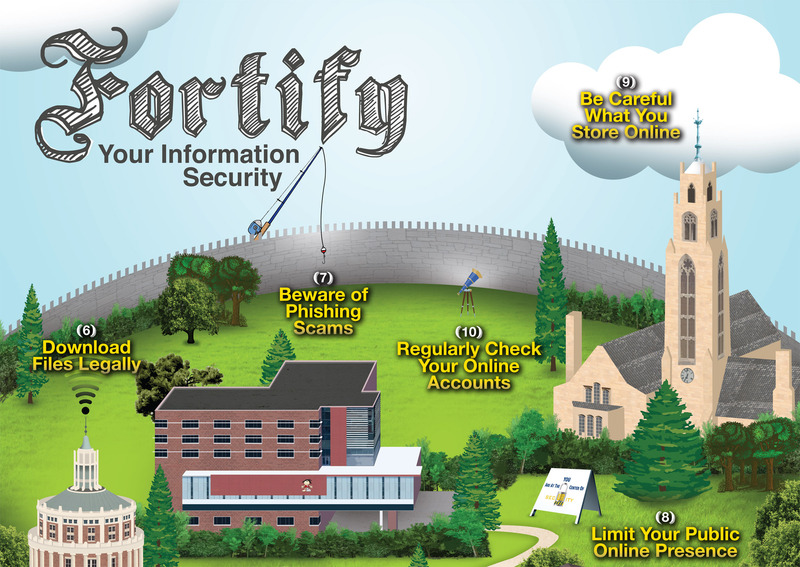 The goal of this campaign was to focus on ten of the most useful security tips and present them to faculty, staff and students at the University of Rochester in an easy-to-understand format. 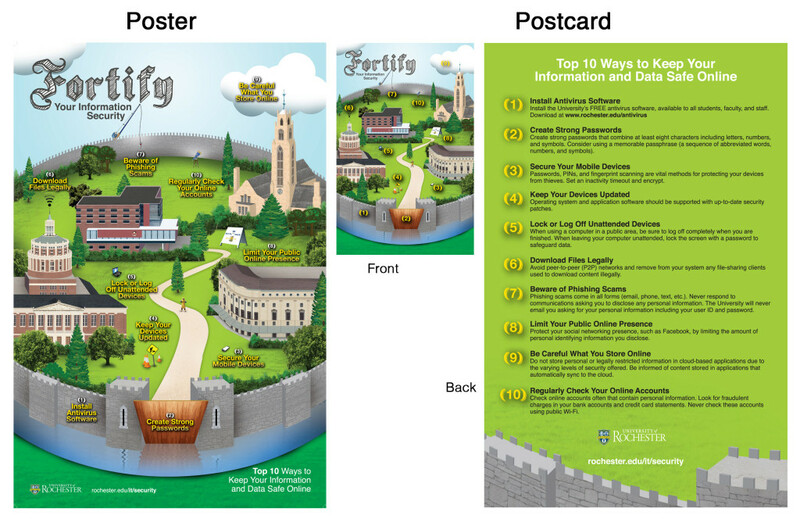 The posters were displayed in dorm rooms, staff office locations and public areas around campus. 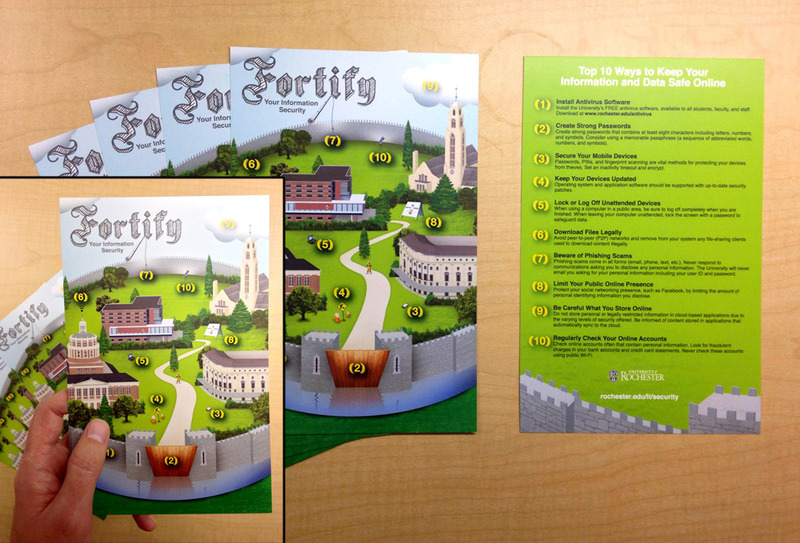 The postcards were distributed by the security liaisons to faculty and staff and handed out during IT campus events.